Los Teques – After the failed 2006 bid for a coveted seat on the United Nation’s Security Council, Venezuela has unanimous backing from Latin American and Caribbean countries to win a two-year term, giving the Bolivarian Republic a likely chance to weigh in on international matters such as peacekeeping, military actions and sanctions. Hugo Chávez made world headlines when he famously referred to George Bush as the Devil during a 2006 speech at the United Nations in New York. At that time the United States government used their clout to block Venezuela’s bid for one of the 10 non-permanent member seats on the UN Security Council. This prompted a deadlock among Latin American countries, whose votes were split between Guatemala and Venezuela in a grueling 47 rounds of voting. To break the deadlock, the nations eventually chose Panama as the compromise candidate for the region. Even countries that have not been aligned with Venezuela in the past, such as Chile and Colombia, are supporting its bid. This type of regional cooperation was recently cemented last Thursday at the Union of South American Nations (UNASUR) Summit and last Wednesday at the celebration of the 10 year anniversary of the Bolivarian Alternatives for the Americas (ALBA), a regional bloc organized around principles of solidarity and cooperation. Venezuela still must win two-thirds of the votes of member countries during the UN General Assembly meeting next month. As long as Latin American and Caribbean nations stay unified in their support for Venezuela, prospects for a seat on the Security Council look promising. Venezuela will be competing with Spain, New Zealand and Turkey for the two seats that are currently occupied by Australia and Luxemburg. The current permanent members of the UN Security council include the United States, Russia, China, France and the United Kingdom. According to various analysts, the United States will not likely mount a campaign against Venezuela’s bid for a seat on the Council, but last-minute attempts are still a possibility. Some attribute this to the current bid moving much more quietly under the radar than the infamous 2006 proposal spearheaded by Chavez. The UN Security Council is the only body of the United Nations that has the power to implement binding resolutions to its member nations, this includes the use of international sanctions, peacekeeping operations and the authorization of military action. While Venezuela will not have veto power, they would have a much more visible platform within the international community. Venezuela’s participation on the security council could potentially offer some support to ally Russia, and provide a more prominent platform for the nation’s ongoing criticisms of US military action abroad. 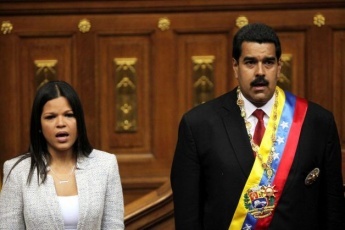 While votes have yet to be cast, it appears as though one of Chávez’s dreams, for Venezuela to hold a seat on the UN Security Council, will likely be a reality in the coming months.